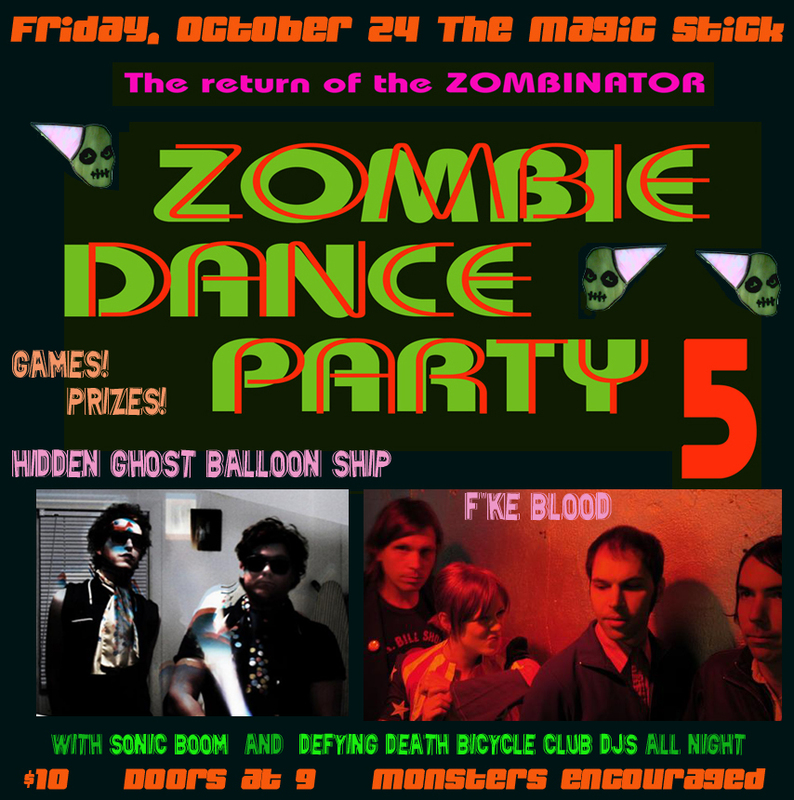 Throw on your scariest get up and get a jump on the Halloween season this Friday at The Magic Stick for ZOMBIE DANCE PARTY 5! Doors are at 9pm and the first 25 monsters in get a special treat. Spin the Wheel Of Doom … get a zombie make-over in The Zombinator and dance to “Defying Death Bicycle Club” DJs Carjack Childers Milo & Strobe. Live musical performances by Sonic Boom (an all-star Sonic’s cover band), Hidden Ghost Balloon Ship (Trevor & LTDs from Pas/Cal’s new project debut) and F’ke Blood – followed by a midnight snack and a dance party freak-out to close the night out! For more info, check out the “Play” section of The Free Press Thursday and Real Detroit Weekly this week for Jeff Milo’s 5 year retrospective!